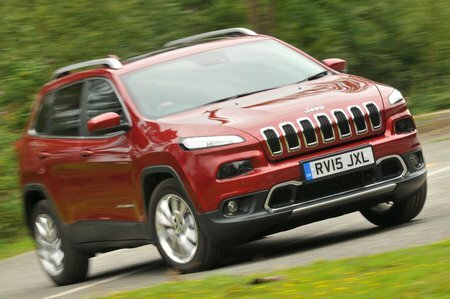 Used Jeep Cherokee Review - 2014-present | What Car? What's the used Jeep Cherokee 4x4 like? Anything rejoicing in the name Jeep Cherokee should be as traditionally American as pumpkin pie, but underneath its elegantly proportioned skin it shares a lot of its underpinnings with a Fiat. You see Chrylser, who own Jeep, hopped into bed with Fiat in 2014, and its resulting cars have all shared platforms and engines and many other major components - poke around hard enough and you’ll discover that this car shares a version of its platform with the humble Alfa Romeo Giulietta hatchback. But this fifth-generation Cherokee lives up to its butch badge and rugged SUV looks by being a no-holds-barred 4x4, ready to tackle the wilds of the New Forest one minute and then the school run through Chelsea the next. To that end, there is a good choice of engines and trims. The entry-level 140bhp 2.0-litre diesel comes with a six-speed manual gearbox and in front or four-wheel drive. There’s also a 170bhp 2.0-litre diesel with an automatic gearbox. The 2.2-litre diesels (there are two, with different power outputs) are four-wheel drive only and are paired with nine-speed automatic gearboxes. Longitude, Limited, Overland and Trailhawk are the four trim levels. Entry-level models get cruise control, automatic lights and wipers, rear parking sensors and a powered tailgate on the outside as standard, while inside there is dual-zone climate control, electrically adjustable front seats, a nine-speaker Alpine sound system and Jeep's 8.4in touchscreen infotainment system complete with Bluetooth, sat-nav and USB connectivity. 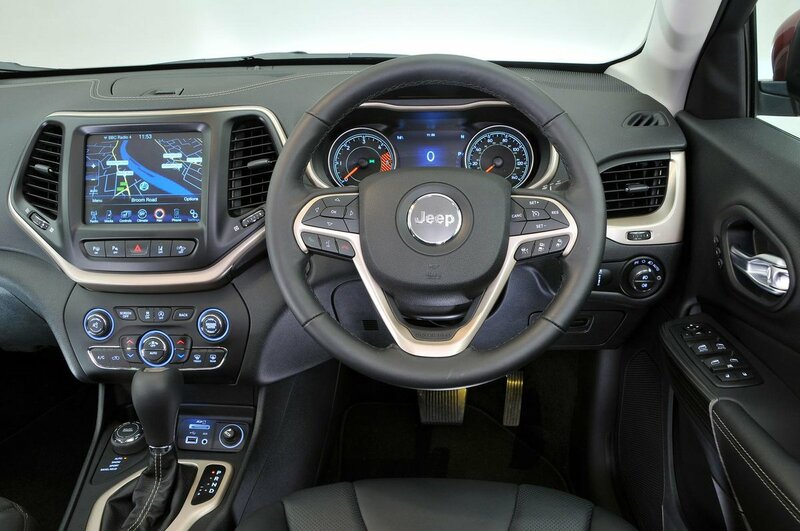 Upgrade to Limited and the Cherokee is adorned with front parking sensors, a reversing camera, keyless entry, a Nappa leather upholstery, ventilated front seats and bi-xenon headlights, while Overland models gain a panoramic sunroof, heated steering wheel and thick-pile carpets. The range-topping Trailhawk model adds hill-descent control, a more rugged suspension, skid plates, numerous durable exterior bodypanels, and a full-size spare, while those after a bit more exclusivity can opt for the 75th Anniversary edition which adorns the Cherokee with a heated steering wheel, a panoramic sunroof, Nappa leather upholstery and Bronze interior and exterior decals. On the road, the 138bhp 2.0-litre diesel is not particularly fast, while the 197bhp 2.2-litre diesel is fairly punchy in normal driving conditions. Unfortunately, regardless of their power output, the diesels are very noisy and coarse-sounding, while the Cherokee itself suffers from a fair amount of intrusive wind and tyre noise at motorway speeds. Around town the Jeep soaks up bumps and potholes tolerably well, feeling settled and comfortable. Body control is a little slack, however. The car leans heavily through corners and rocks about slightly as it goes over speed bumps. All in, it’s not the last word in sophistication, but things are better off-road, where the Cherokee performs admirably. Inside, there’s plenty of space front and rear, and the driving position is reasonably good, with adjustment built into the steering wheel and the seat. Many of the materials and design details in the cabin look smart but you’ll find plenty of brittle-feeling, scratchy plastics around the gearlever and various places you regularly come into contact with. The fake wood trim on the inside of the door looks a bit tasteless and the sharp stitching on the multi-function steering wheel is rough to the touch, too. You get a colour touchscreen (5.0in on Longitude models and 8.4in on Limited trim levels) which is the focal point of the cabin and the means to control all the major functions. It’s quite easy to use thanks to its chunky icons and logically laid-out menus, although the graphics don’t look as slick as those in the best rival systems. The boot is disappointing in terms of its outright capacity, being smaller than most rivals. You can extend the space by sliding the rear seats forward, but this leaves no leg room for rear passengers. However, the boot is well shaped and the boot lip, while high off the ground, is level with the floor. The seats fold completely flat, too, expanding the capacity.